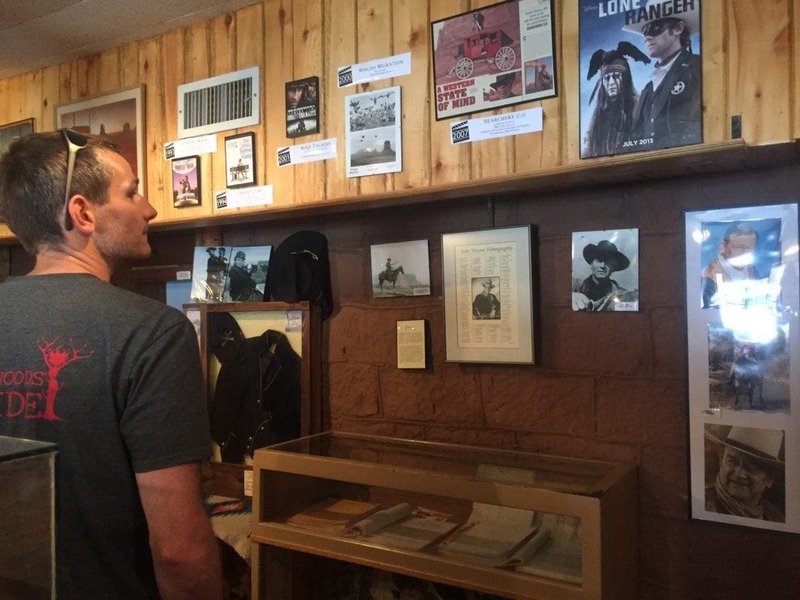 Name an icon of the American West. 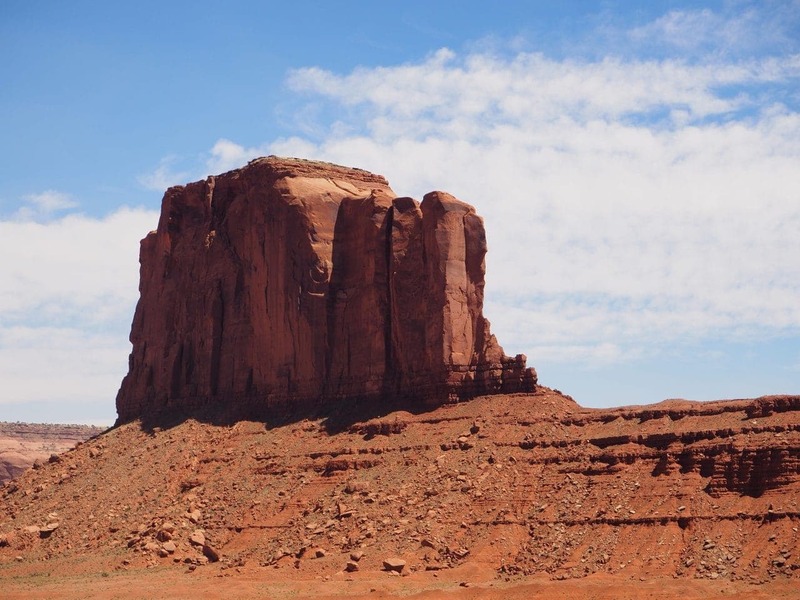 Is Monument Valley your first thought? 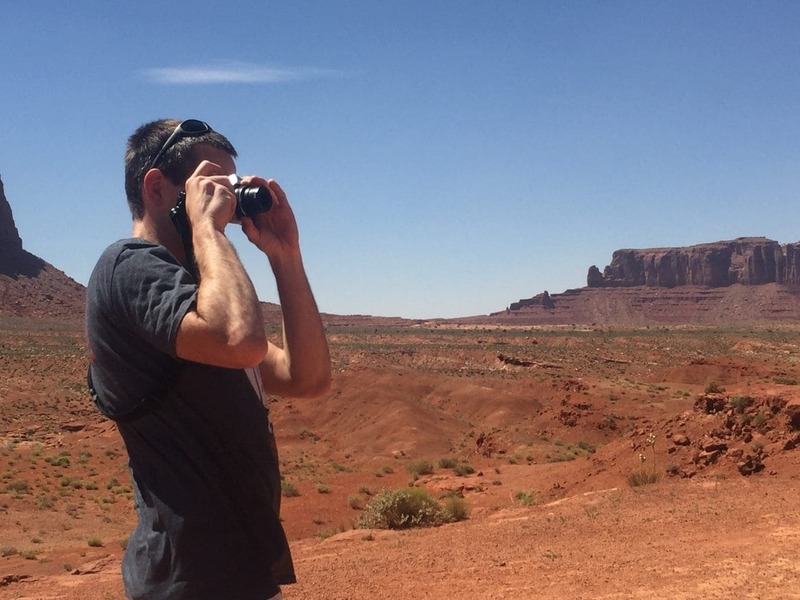 Even if you’ve never heard of Monument Valley, I know you’ve seen images of it! 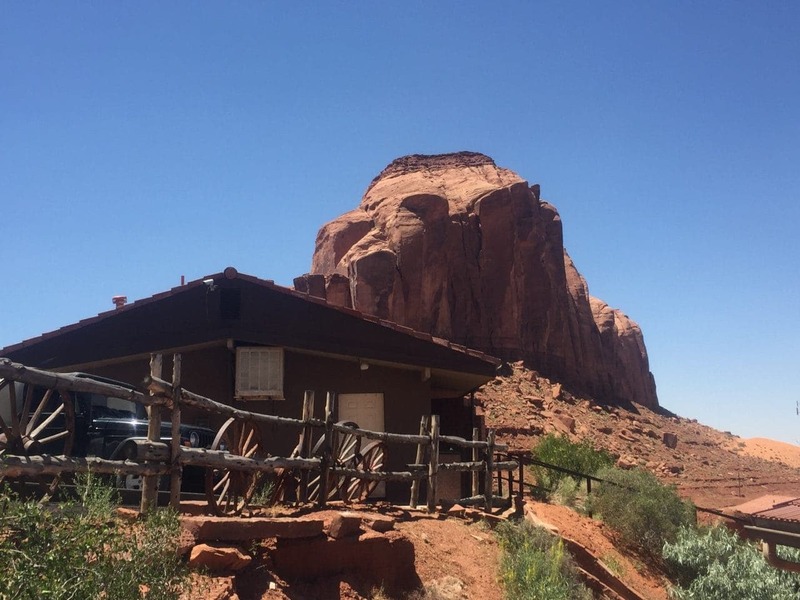 If you are like me and your dad has ever taken over the TV to watch a John Wayne movie, you’ve most definitely seen Monument Valley. Heard of Forest Gump? Back to the Future Part III, National Lampoon’s Vacation or Disney’s The Lone Ranger? What about Thelma and Louise, Mission Impossible II, A Thousand Ways to Die in the West or Transformers: Age of Extinction? You’ve seen it even if you didn’t know it! 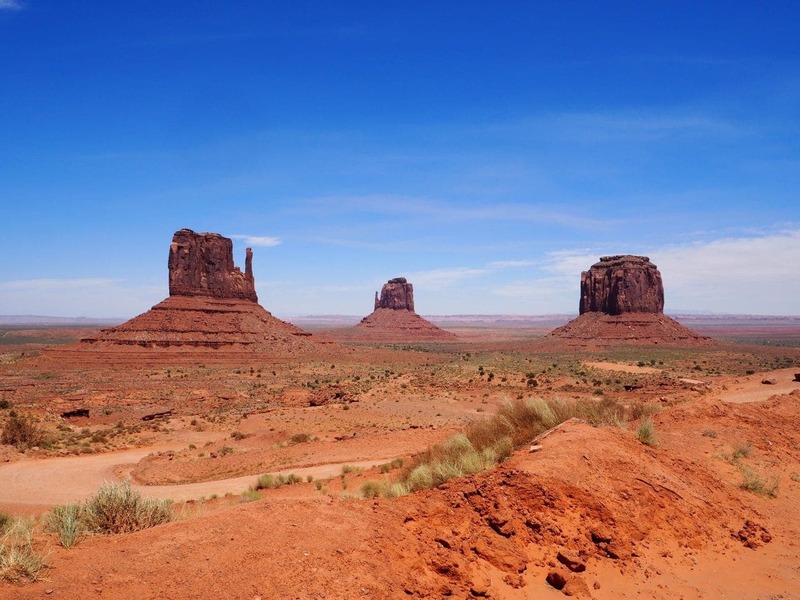 Animated films have even replicated it, Cars had “Ornament Valley” and The Lego Movie depicted Monument Valley. If you like the video, you can subscribe to our YouTube channel. Most videos will have a post, but not all. There are some short videos and clips on the channel as well and we will continue to add more. 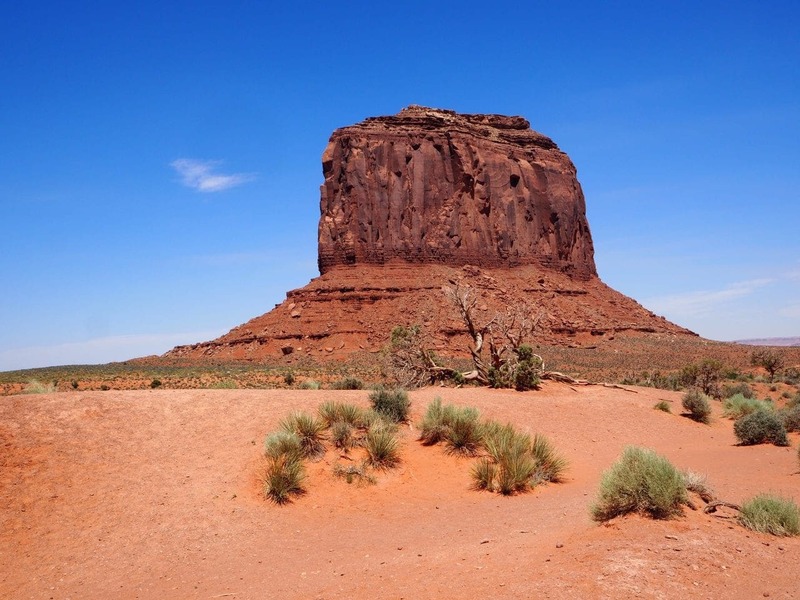 Monument Valley is a Navajo Tribal Park that borders Utah and Arizona. It is located on US-163 and took us about 45 minutes to get there from Bluff. 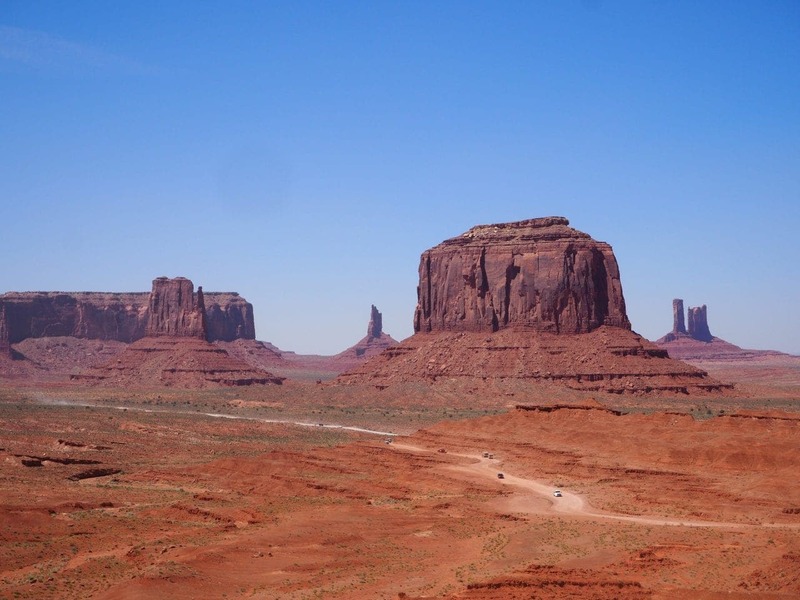 Monument Valley is similar to a national park, but it falls within the jurisdiction of the Navajo Nation. I read various accounts of the size, one site says more than 91,000 acres has been set aside for the park while another says 30,000 acres. Anyone know for sure how big the park is? High clearance vehicles are recommended or you can take a guided tour. We drove on our own since we have a jeep so I can’t provide specific information on tour providers. Be aware that you may need to purchase a permit for various activities; hiking, camping, etc. Consequently, failure to have a permit is considered trespassing on a Federal Indian Reservation. Be sure to do your research when planning your visit. The visitor center is open 7 days a week, with the exception of a few holidays. Hours depend on the season. 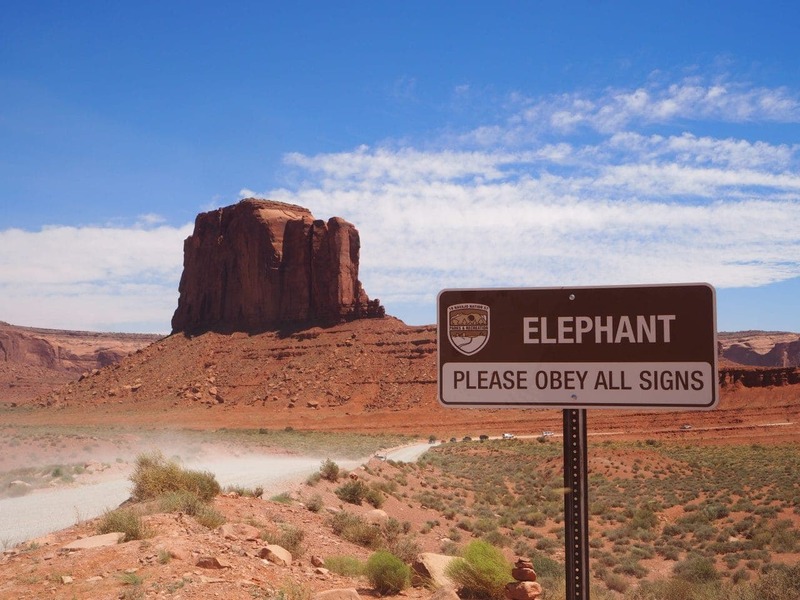 The Navajo Parks and Recreation site is helpful. Use the drop down menu under Navajo Tribal Park to access the secondary menus for more information. The secondary menus weren’t clear to me at first. Just outside the park you will find Gouldings. One name but many features. 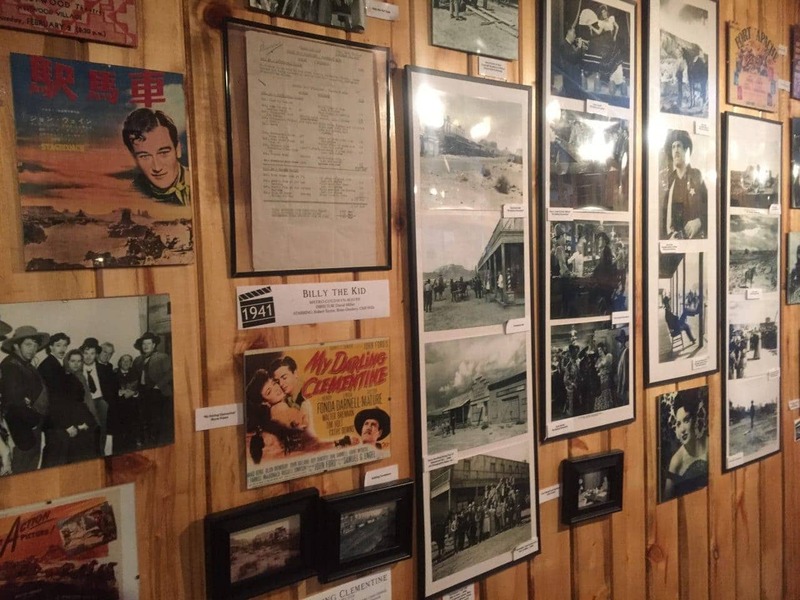 Gouldings has a lodge, campground, restaurant, museum and a store. 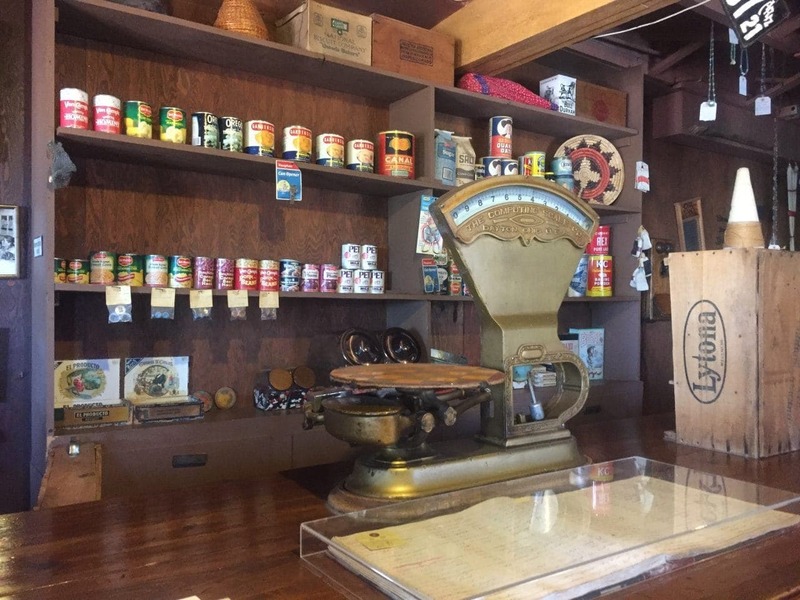 In the 1920’s Harry and Leone Goulding bought 640 acres and operated a trading post for decades. During the depression, Harry began sending photographs of the land to movie director John Ford. 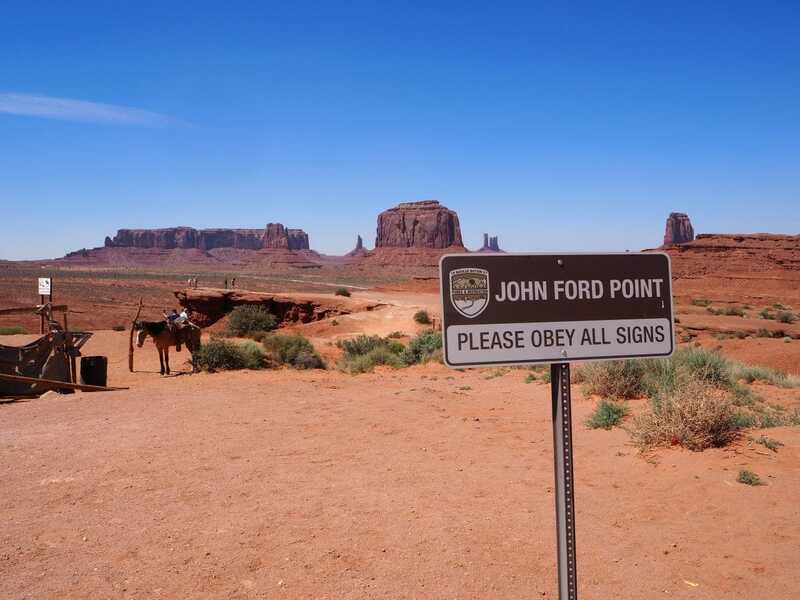 Mr. Ford and John Wayne fell in love with the landscape and filmed many movies here. In 1980 the site was added to the National Register of Historic Places. 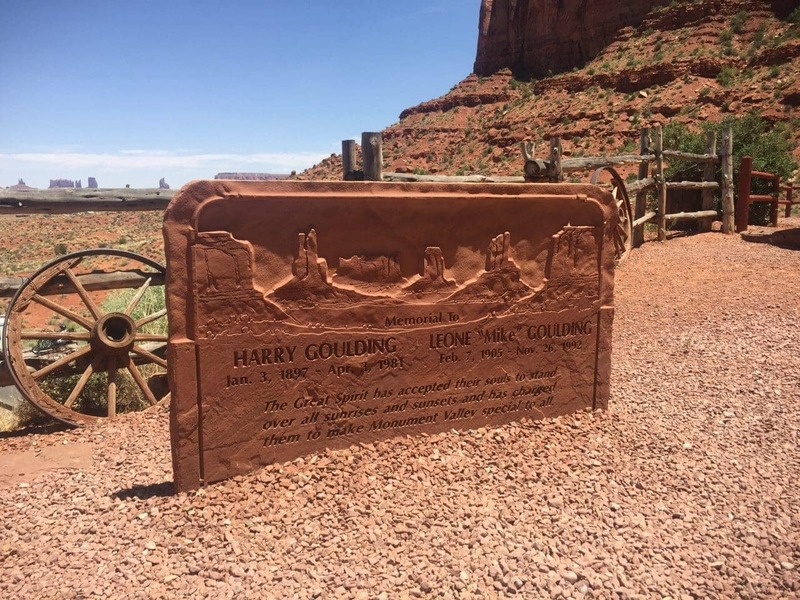 Gouldings is a must-see while visiting Monument Valley! 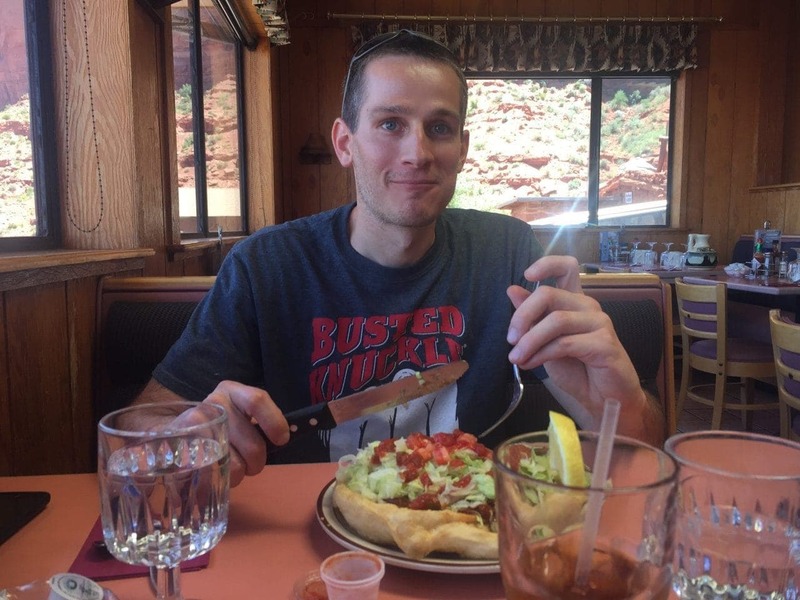 First we started with the restaurant and the very highly recommended Navajo Taco. De-li-cious! Thick, but fluffy fry bread is piled high with beans and traditional taco ingredients. Next, we walked across the parking lot to see the museum. As we walked in we caught a glimpse of the old trading post. 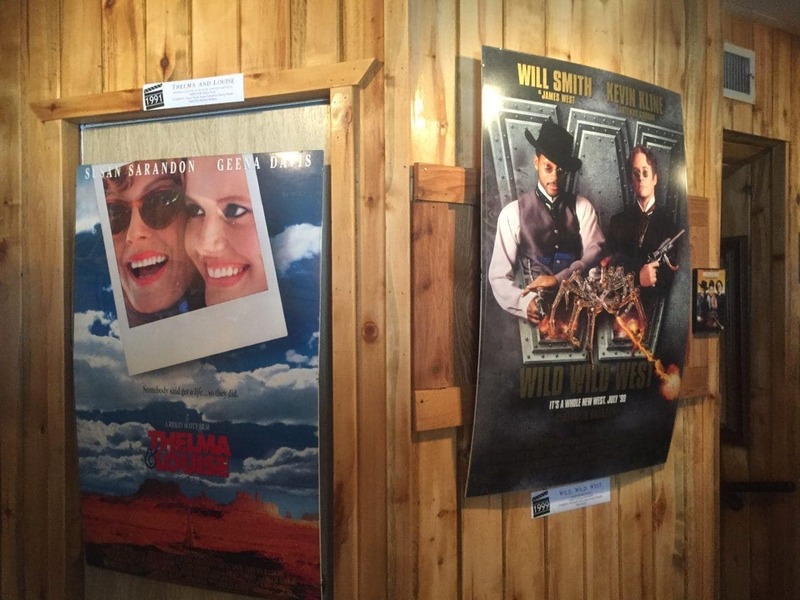 In the back you’ll find the movie room with an impressive collection of movie posters and other memorabilia. 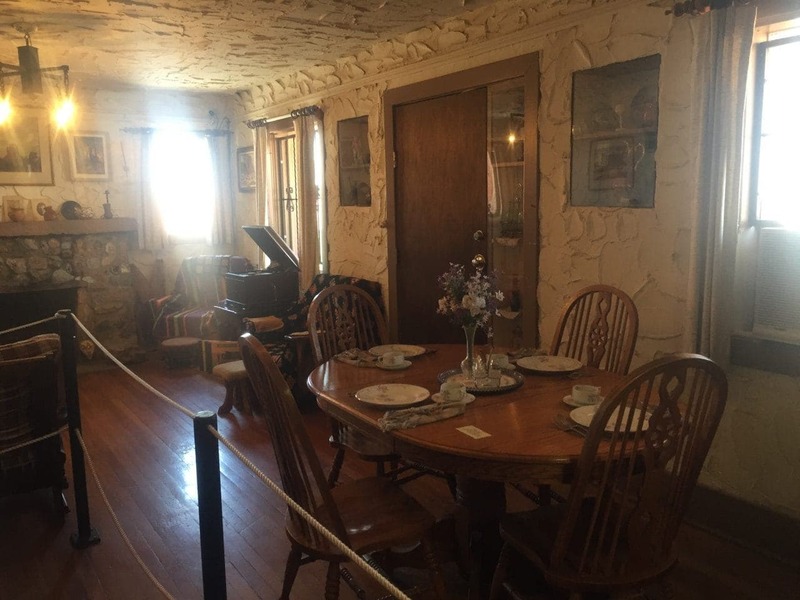 The second floor features rooms in the living area as they were nearly 100 years ago. Lastly, we stopped in a the store that has not only souvenirs, but it specialized in Navajo art, jewelry and pottery. We began to run low on time and knew we’d better start driving the trail. Now we were ready to see the incredible structures we had been hearing about! We intended to drive the 17 mile scenic road and stop for a hike. Within minutes we had a pretty big surprise. The road was not what we were expecting. It was much rougher therefore it was going to take longer to drive. 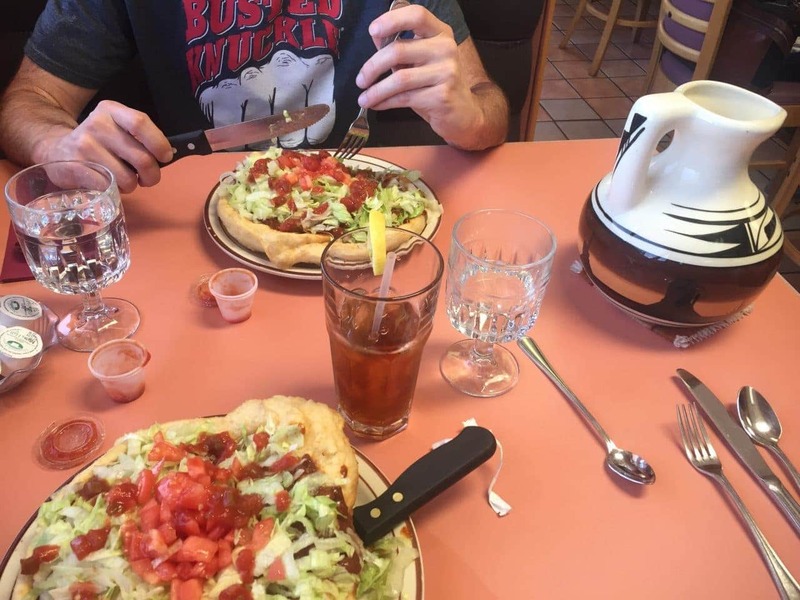 We were assuming it was blacktopped since that is typically what you see in the movies. 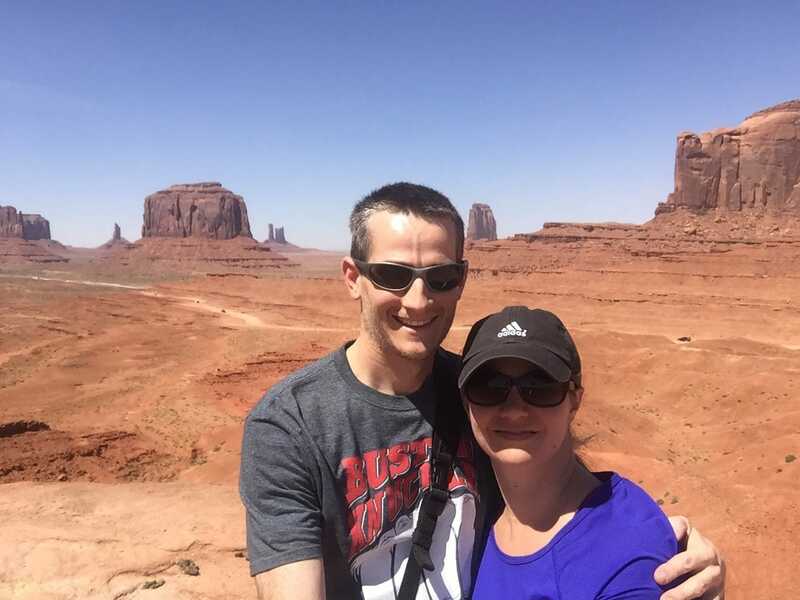 We learned that those shots are taken from US-163 leading to Monument Valley. 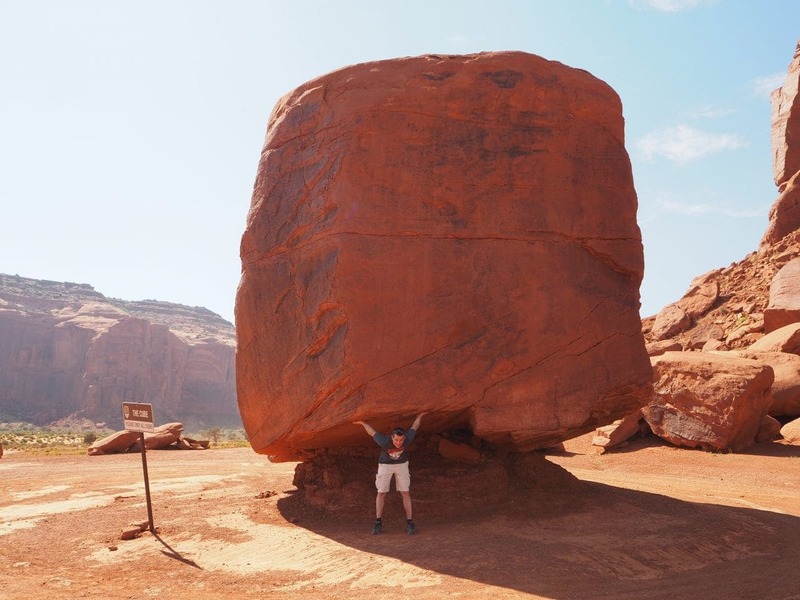 Even though it would take more time to drive and a hike probably wouldn’t be possible, the disappointment in changing our plans was quickly forgotten as the rock monuments took our breath away! These formations are giants and demanded our total attention for the day. Can you see how small the cars are? 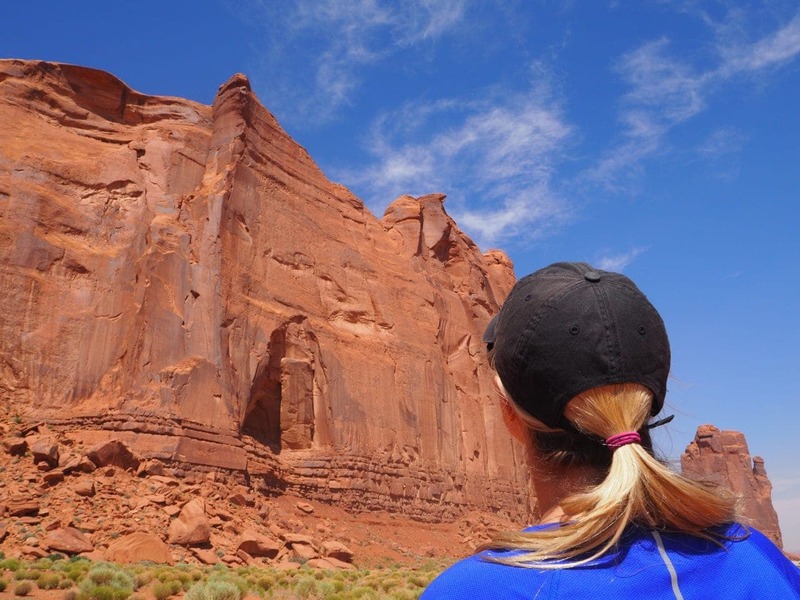 Monument Valley demonstrates the powerful effects of erosion. Layers of sediment have settled and cemented in the basin over millions of years. That basin then lifted and became a plateau as water and wind slowly eroded some of the softer materials. 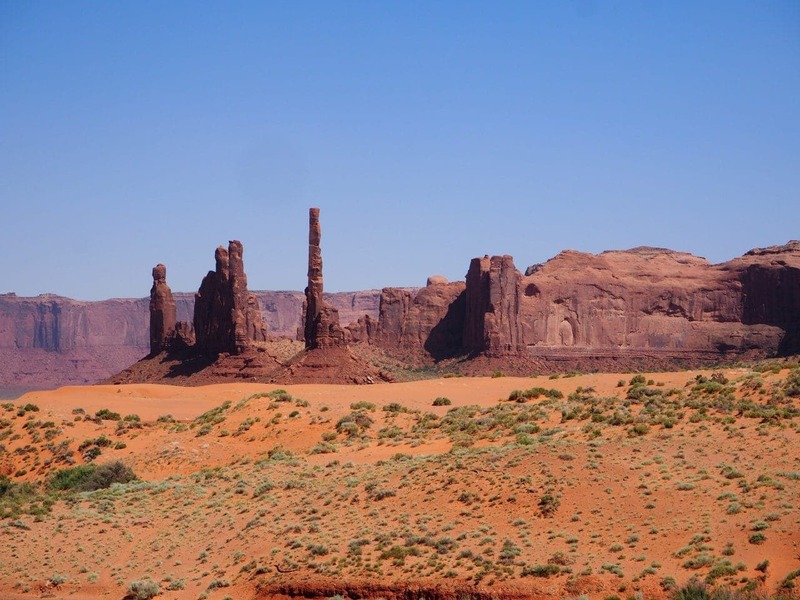 As a result, the forces of nature created the spires, buttes and other unique formations that we see today. Until we began traveling I never thought much about how these landmarks continue to change with time. We got a teeny tiny sample of this erosion since it was windy the day we were there. We’ve heard time and time again how the places we are visiting are “living.” This can be through various forms, but the idea is that things are always growing and/or changing in nature!